STORAGE CAPACITY 100GB. INTERFACE SATA III. If you prefer you may also feel free to recycle such materials to any local R2 or e-Stewards certified recycler. 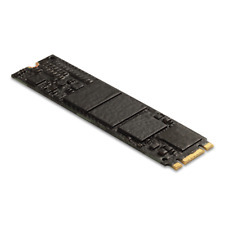 1TB Micron SSD M600 Solid State Drive 2.5" MTFDDAK1T0MBF. Internal Solid State Drive (SSD). Form Factor. 0°C ~ 70°C. 1,500,000 hours. Write Latency. Read Latency. 4KB Random Write. XVAULT XNCR100. Portege Z835-SP3202M. Portege Z835-SP3201M. Portege Z835-P372. Portege Z835-P370. Portege Z835-P360. Portege Z835-P330. KIRAbook 13 i7sm-Touch. Micron Crucial 1100 240GB M.2 SATA 2280 SSD MTFDDAV240TCB. Size: 240GB. Micron MTFDDAK512TBN 1100 512GB Internal 2.5" pulled from a working machine. Drive has NO O/S and you will need to format and setup for your new machine. drive will ship in Anti-Static packaging via USPS First Class Mail. 100% feedback seller on eBay for more than 15 Years. Trending at $52.49eBay determines this price through a machine learned model of the product's sale prices within the last 90 days. Micron’s state-of-the-art stackable 32-tier 3D NAND die allows for 3X the capacity of planar NAND in a vertically tiered compact die. Micron 3D TLC NAND Flash. Get the must-have performance, power efficiency, security and capacity that will make your mainstream computing applications excel. Micron M510 M.2 128GB SATA III SSD Solid State Drive MTFDDAV128MAZ . Condition is Used. Shipped with USPS First Class Package. Up for sale is a Micron 175GB PCIe Gen 2 SSD 2.5" drive. It will NOT work in SAS or Sata computers. LOW PRICE! Why buy through us?. Have an issue?. 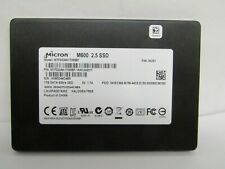 Micron Real SSD P300 100GB SATA SLC 6G 2.5" Solid State Drive. Storage Capacity: 100GB. interface SATA. If you’re looking to buy high quality IT products, look no further. Buy From Us. Get the must-have performance, power efficiency, security and capacity that will make your mainstream computing applications excel. Manufacturer Micron Technology, Inc. Drive Interface SATA. Product Series 1100. Micron 128GB SSD C400 SATA 2.5" MTFDDAK128MAM-1J1 HP: 652181-001-Wiped. MANUFACTURER: Micron. SKU Number: 170923 | SN: 11480322BCDD. Product Series: 5200. Product Model: 5200 PRO. Storage Capacity: 960 GB. Manufacturer: Micron Technology, Inc. Drive Interface: SATA. Product Type: Solid State Drive. Join the SOLID storage revolution. DE LL 0CMDH9. SATA 6Gb/s 2.5" SSD Hard Drive. The first SSD to challenge hard drives head-on is here. Product Model: 5210 ION. New QLC NAND. The result?. Easy to qualify at comparable value to 10K RPM hard drives. Product Series: 5200. Storage Capacity: 7.68 TB. All parts are 100% Genuine parts. 7.68TB 5210 ION SSD SATA 2.5IN ENTERPRISE. Mfr Part #: MTFDDAK7T6QDE2AV1ZA. Accelerated by Micron 3D NAND technology. 2048GB (2TB) Micron 3D TLC NAND Flash. Micron 1100 3D NAND 2TB SSD SATA 6Gb/s 2.5" Solid State Drive (MTFDDAK2T0TBN-1AR1ZABYY). The 3D NAND leverages larger NAND cells to improve performance and prolong endurance. Trending at $261.89eBay determines this price through a machine learned model of the product's sale prices within the last 90 days. This drive is pulled from a new system and is cleared and tested. No one is EVER ignored! ALL PRODUCTS ARE MARKED WITH SERIAL NUMBER AND QC BADGE. 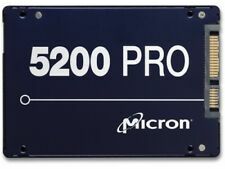 Built on the proven architecture of our award-winning 5100 series that's been qualified and used by top OEMs, hyperscalers and data centers, the Micron 5200 series of SSDs is easy to qual and install. Product Series: 5200. Manufacturer: Micron Technology, Inc. Storage Capacity: 480 GB. Drive Interface: SATA. Product Type: Solid State Drive. Drive Type: Internal. Join the SOLID storage revolution. Drive Performance. Interface: SATA3. This drive passed both short and long self tests and is working well. The drive has been secure erased and serial number recorded. Read Speed: 540 MB/s. Write Speed: 520 MB/s. Micron 480GB SATA 5100 Series SSD. Lightly Used - Under 20 hours powered on. Hard Drive Will Need To Be Formatted Before Use . Server Surplus. -All parts are 100% Genuine parts. Capacity 256GB. Type 2.5" SSD. Manufacturer Micron. Single 4GB Stick of DDR3 RAM Working. Micron MTFDDAC100SAL-1N1AA 100GB SATA 6Gb/s RealSSD P300 2.5"
PN MTFDDAK1T9TCB. Micron 1.92TB SATA 5100 Series SSD. Storage Capacity: 3.75 TB. Product Series: 5200. Manufacturer: Micron Technology, Inc. Drive Interface: SATA. Product Type: Solid State Drive. Drive Type: Internal. Join the SOLID storage revolution. Manufacturer Part Number: MTFDDAK3T8QDE. Product Model: 5210 ION. Storage Capacity: 3.84 TB. Product Series: 5200. Manufacturer: Micron Technology, Inc. Drive Interface: SATA. Product Type: Solid State Drive. Product Series: 5200. Storage Capacity: 1.92 TB. Product Model: 5200 PRO. Manufacturer: Micron Technology, Inc. Drive Interface: SATA. Product Type: Solid State Drive. Join the SOLID storage revolution. Part Number: 0CWDX. RPM: 960 GB. Interface: SATA 6Gb/s. We are confident that we can fulfill all of your IT needs! VRLA Tech, LLC. VRLA Tech, LLC is an independent distribution channel and is not associated with Dell™ Inc. or HP™ Inc.
Micron 1100 2.5" 256GB SATA III 3D NAND Internal Solid State Drive 6.0 GB/s NEW!